It became difficult to trace the shipment on time and disengagement of customer started showing falling in business. 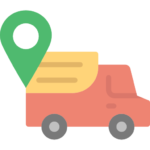 Lack of latest cloud based technology and mobility solution in order to help clients in tracking their consignment lively and monitor each and every movement, in other hand status of tracing consignment to be auto communicated with the clients. Higher service cost relatively other companies because of having no flat rate and mile payment to keep the price low. How Logixgrid addressed the challenges? Logixgrid proposed new age system logixERP to improve customer services by providing on time delivery report, quick booking and in house pick up helped them to speed up services along with mobility solution to the pickup and delivery person process and execute functions from anywhere. Company was given a single cloud platform to manage both of their transport, courier and cargo companies, aside from one system was incorporated to monitor and manage multiple brunches where data of accounts, cash flow could be synchronized and exchanged among several distribution centers through single system. Logixgrid has integrated their website with logixERP tracking system and made their website live where clients could easily track their shipments with each shipment movement and get the updated status either by SMS or Email. Geo-mapping and route optimization which enabled to calculate the distance and digital COD makes a secure delivery overall. Enhance field activity and extension of tracking.